During the course of evolution, the invasion of lands by plants exposed plant tissues to air, which dramatically lowered the resistance for CO2 diffusion to chloroplasts by ~10,000-fold. 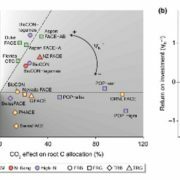 The evolutionary development of the leaf intercellular airspace was a key innovation that allowed land plants to profit from the lowered resistance to CO2 diffusion afforded by the terrestrial environment. 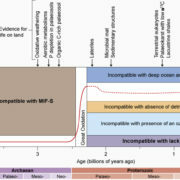 Terrestrial inhabitation, however, also exposed leaves to the risk of desiccation. 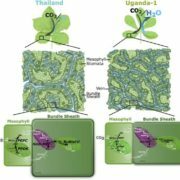 Plants presumably navigated this trade-off by developing a complex spatial cellular arrangement in order to produce a more or less tortuous 3D intercellular airspace network that allowed for the rapid delivery of CO2 to the chloroplasts, while maintaining a humid environment inside the leaf to limit evaporative water loss. Leaves utilizing Crassulacean acid metabolism (CAM) exhibit a major contrast in their intercellular airspace properties to those engaging the C3 metabolic pathway for photosynthesis CAM plants frequently occupy the lower end of the intercellular airspace volume spectrum. 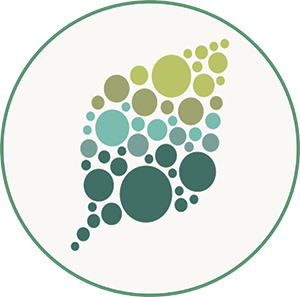 In comparison to C3 leaves, CAM leaves tend to have larger cells that are more densely packed, which typically results in lower porosity. 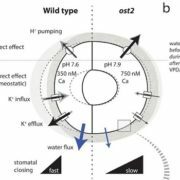 The tendency of CAM plants toward a higher cell volume fraction, enables greater nighttime storage of CO2 as malic acid in vacuoles, which is then decarboxylated and released as CO2 when stomata are closed during the light period. 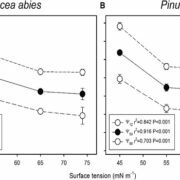 C3 plants, on the other hand, tend toward smaller cell sizes, which presumably facilitates greater mesophyll surface exposure to the intercellular airspaces, allowing more efficient carbon fixation by Rubisco. In this issue, Earles, Théroux-Rancourt et al. (10.1104/pp.18.00550) take a closer look at the 3-dimensional (3D) intercellular airspace traits that potentially influence intercellular airspace conductance in 19 bromeliads with CAM or C3 photosynthetic pathways. 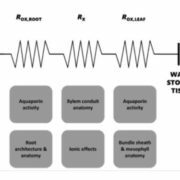 They have re-evaluated the standard equation for intercellular airspace conductivity by incorporating tortuosity, lateral path lengthening, and intercellular airspace connectivity. 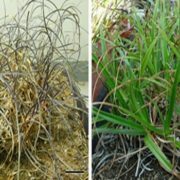 They report the occurrence of substantial variation in porosity, tortuosity, lateral path lengthening, and intercellular airspace connectivity across all bromeliad leaves. 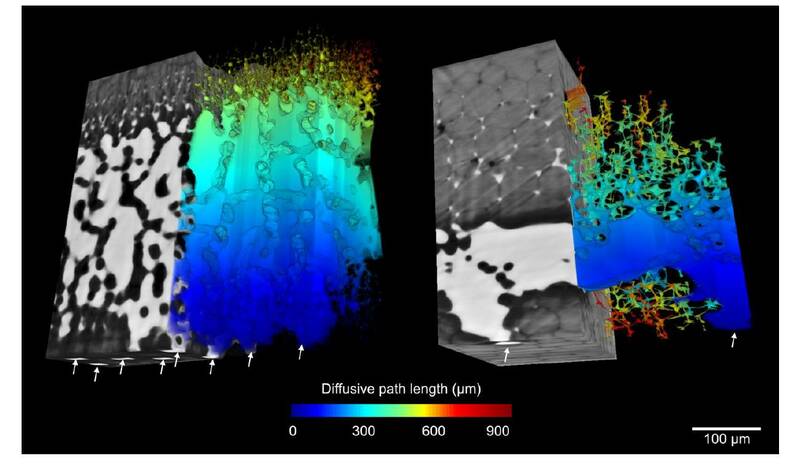 Their data show that intercellular airspace traits that better capture the 3D complexity of leaves strongly influence the conductivity of the intercellular airspace and that the impact of the intercellular airspace on mesophyll conductance should be carefully considered with respect to leaf anatomy. Maize adaptation to higher latitudes has been facilitated by transposon activities.